On 12 July fr. 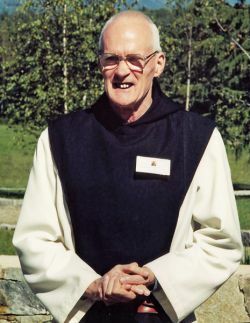 André Louf, Trappist monk and a well-known spiritual author, passed from this world to the Father in his monastery of Mont-des-Cats (France). 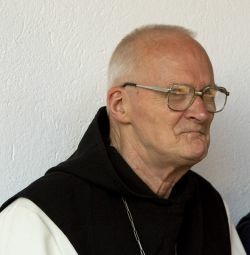 He was born in Leuven (Belgium) in 1929 and entered the monastery in 1947, a little after World War II. 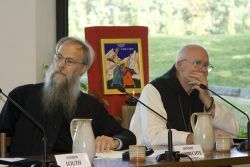 In 1963 he was elected abbot of Mont-des-Cats, a ministry he carried out for thirty-four years, guiding his community with wisdom and discernment in the years of Vatican Council II and the following “aggiornamento” aimed at a renewed fidelity of monasticism to its evangelical demands. With his spiritual paternity he formed generations of monks, some of whom in their turn became abbots of other monasteries. 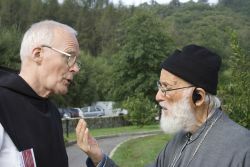 He left the office of abbot in 1997 and retired to live as a hermit near the Benedictine sisters of Saint Lioba in Provence; from there his discreet and wise voice continued to be heard in word and writings. A man nourished at the fount of the Fathers of East and West, as a competent “lover” he had also translated some pearls of the thought of the Syrian Isaac of Nineveh and of Flemish mystics. 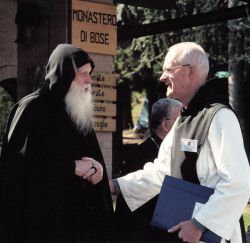 In 2004, at the invitation of pope John Paul II, fr. André Louf composed the meditations for the Way of the Cross at the Colosseum. We would like at this time to recall with deep feeling, besides the great spiritual man, especially the friend and brother who in the last fifteen years at least once a year came for a longer stay at Bose, either to give voice to the spirituality of Western monasticism on the occasion of the International Conferences on Orthodox spirituality or — and even more so — simply to live the daily fraternal life in our poor reality, exercising an authentic ministry of sharing from his truly unique baggage of knowledge. He was an “elder”, a “kalogeros”, a “starec”, esteemed and loved by all the brothers of the Orthodox Churches for his vast doctrine, his humble wisdom, and the profound peace that irradiated and that went beyond all divisions. Many of us turned to him in simplicity for spiritual advice, for a word of confirmation in the monastic path, for an exhortation to trust and hope, unfailingly finding him at one’s disposal. A man without boundaries and tenacious in his search for Beauty and its reverberations in reality, he always struck us as a man extraordinarily capable of listening — in the therapeutic quality of which he firmly believed — as a man of potent force of intercession and of fidelity to daily prayer, of incessant ministry of consolation, of penetrating discernment, always ready to spread the mantle of pardon over evil, a man of absolute primacy of mercy and condescension (“synkatavasis”) in fraternal relations and towards the facts of life. With respect to the latter, he always warned against giving oneself up to bitterness; he admitted the possibility of moments of sadness that should be welcomed with magnanimity and a smile, nevertheless, and even more, in him was affirmed the ever more acute seeking of the Light, which he found in small daily occurrences and in the persons he met, as traces of the uncreated Light, of the divine Light in which he is finally wrapped. He lived a growing attitude towards a limpid vision of sincerity with regard to himself and to others, of astonishment and wonder towards al creation, in the conviction that the good remains more profound than the most profound evil. We now understand why his desire to make another pilgrimage to Athos remained only a whisper: now at last this awaiting is over, the founts and profundities are reached for good, and nothing remains except light, peace, and communion without end before the Lord’s face. Thank you, fr. André: we ask your intercession before the Lord for all of us, for the Church, for monasticism, for every human being and every creature! The prior, br. Enzo, and the brothers and sisters of Bose wish to transmit to the brothers of Mont-des-Cats their fraternal closeness, the assurance of their prayer, and their gratitude to the Lord and to their community for this great gift: Deo gratias!